Chinese electric car startup NextEV has launched a vehicle it claims is the fastest electric car in the world. The EP9 supercar was unveiled yesterday at a launch event in London and is the first model from NextEV's new brand, Nio. Dubbed the world's fastest electric car, it can go from zero to 200 kilometres per hour in 7.1 seconds, and has a top speed of 313 kilometres per hour. The electric vehicle can be fully charged in 45 minutes and has a range of 427 kilometres. It also features an interchangeable battery system, which allows drivers to swap out the empty cells in eight minutes. 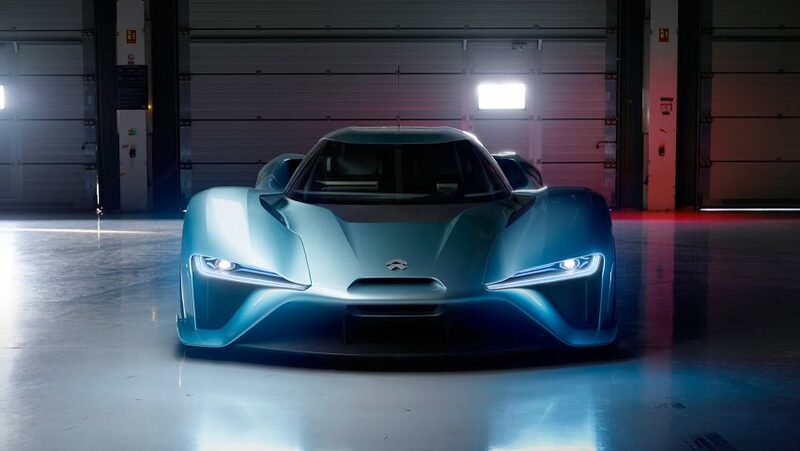 "The Nio EP9 was born to push limits and is the first stage of automotive production for Nio," said NextEV founder William Li. "It is a statement of our vision and technical and manufacturing capabilities." "It is a best-in-class product that showcases what is possible with electric vehicles," he continued. "We believe that when the car ownership experience exceeds expectations, electric vehicles will become the natural choice for everyone, leading to a more sustainable tomorrow." To showcase the car's top speeds, the company raced an EP9 around the Nürburgring track in Germany – where it beat the existing electric vehicle lap record with its 7:05:12 time. The car's high-speed capabilities have largely been achieved through innovative design and material choices. The cockpit and chassis is made from carbon to cut overall weight and aid aerodynamics, while its rear wing lifts to three positions to achieve twice the downforce of a regular Formula One car. At the unveiling, where the launch of the Nio brand was also announced, Li said he expects electric vehicles to become the "natural choice for everyone" – a comment similar to those made earlier this year by transportation designer Paul Priestman, who said battery-powered planes were the future. A number of Chinese car brands are emerging as new players in the automotive industry. Earlier this year, Nio's fellow Chinese startup Techrules unveiled a concept electric vehicle that can be recharged on the move via an on-board turbine. Even more recently, automotive company Geely launched Lynk – a car brand with sharable locks and an open platform designed to make its vehicles "the most connected in the world". Unlike Nio, however, Lynk is holding back on electric technology, which it described as still too experimental for the mass market. Techrules showcases turbine-recharging tech in "China's first supercar"